In order to keep up with the increasing demand, the district’s shopping malls have lined up an array of these cereals across their supermarkets. MAHABUBNAGAR: With ‘health food’ being all the rage, Mahbubnagar residents too are now increasingly saying no to the staple rice diet. 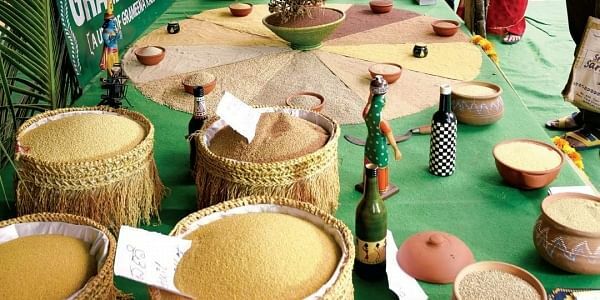 With rice being widely regarded as one of the primary reasons for the increased number of diabetic cases among the ageing population, healthcare experts have also been suggesting a change in food habits and opting for cereals like Jowar, Bajara, Ragi, Korra, Samulu, etc. In order to keep up with the increasing demand, the district’s shopping malls have lined up an array of these cereals across their supermarkets. While millets are high in fashion, people are generally satisfied with any kind of organic food, grown by not using pesticides or fertilisers to increase production. For instance, quite a few new stalls selling jowar rotis have sprang up along the road side in many streets of the town, and people are flocking to these places. “As I recently found out that my blood sugar is very high, my doctor advised me to change my food habits. I have been primarily eating just jowar rotis from then,” says Shiva Ramulu, a diabetes patient.